It’s the time of year when everyone is frantically looking for presents for their family and friends. 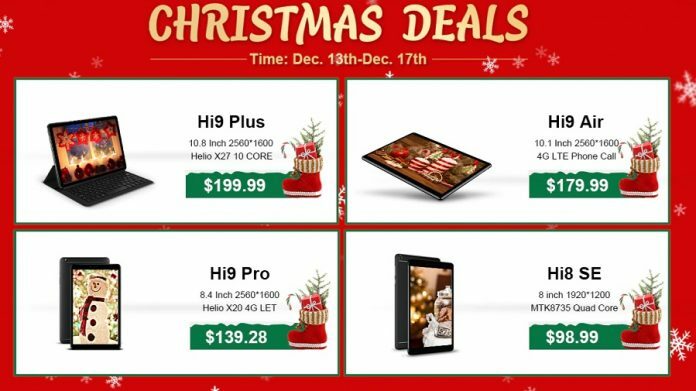 Well, if you think someone from your circle would be in need of a tablet, then maybe you’d like to take a look at Chuwi’s series of discounts of the holidays. 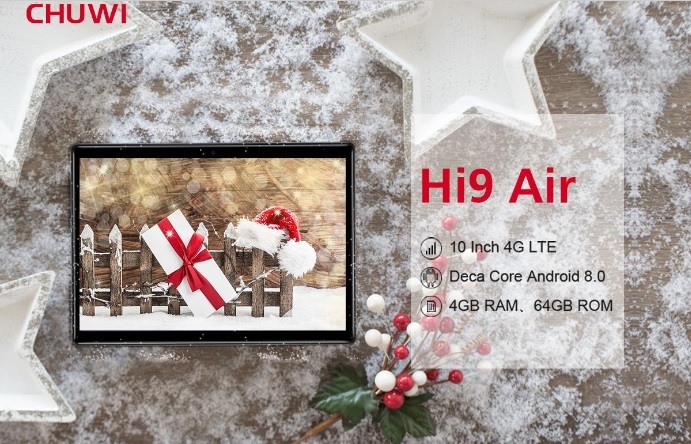 The low-cost tablet maker is offering consistent price cuts on some of its best models including the Hi9 Plus. This is a tablet designed for productivity that comes with a 10.8-inch screen with 2560 x 1600 resolution. It’s powered by a powerful deca-core Helio X27 that works in combination with 4GB of RAM and 64GB of storage. The slate relies on a 7,000 mAh battery and runs Android 8.0 Oreo. Well for a limited time, Chuwi is offering it for $199.99 (30% off). So if you’re on the market for a powerful tablet to help you get productive, the Chuwi Hi9 Plus might be exactly what you’re looking for. You can check out the complete list of deals from Chuwi, by following this link to the Aliexpress web shop, from where you can purchase one or more of the models. Chuwi also has a number of other products that are currently on discount. While all the tablets we mentioned above are Android models, Chuwi also offers Windows-powered slates. For example, the Chuwi H10 Air with an Intel Cherry Trail chipset is available with 20% off for only $189.99. Customers looking for a laptop might also be able to find something. The Chuwi Lapbook SE with an Intel Gemini Lake and Windows 10 is currently selling for $279.99 (20% off). The company also sells a mini PC and some accessories including a keyboard and a charger.